Most Lawrence residents know Francisco Urena as the city’s Veterans’ Services Director, but long before Urena came to work for the city of Lawrence he was serving the United States Marines in the 1st Tank Battalion in Iraq. Urena was born in the Dominican Republic and grew up in Lawrence, attending the Lawlor, Tarbox and Arlington Schools before his family moved to Florida. 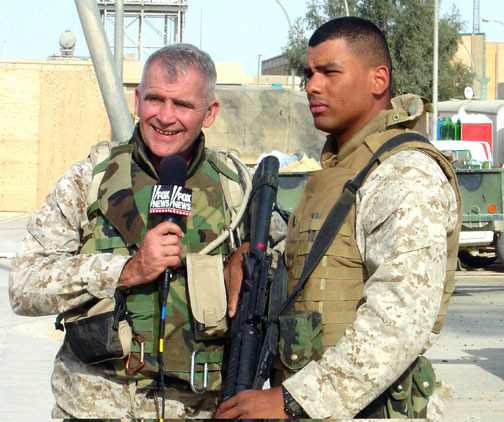 In June of 1998 Urena joined the Marines, training at Paris Island in South Carolina and then attending 2 ½ months of training as a tank commander where he learned how to operate the M1A1 tank, graduating as a tank crewman. 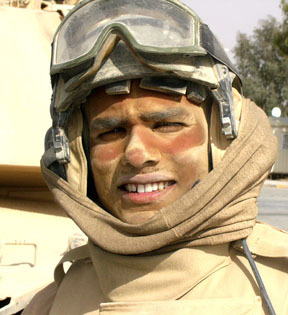 From there Urena was selected to go to Twenty-Nine Palms, California, where he trained with tanks in the California desert. “There were hundreds of miles of desert,” Urena explained. “We were trained to be as efficient as possible in combat situations.” Little did he know that the training he was receiving would be critical to the United States effort in Iraq to secure the country against international terrorists. Urena served as a security officer at the United States Embassy after completing a rigorous course at Quantico, Virginia, “They wanted to make sure that the people they selected for security for the U.S. embassies were of sound mind and capable of handling diplomatic and security situations overseas,” he explained. “My first post after completing training was in Damascus, Syria where I spent a year and a half.” There, Urena learned how to speak Arabic fluently, “which was very handy later on” he admits. Urena also learned how to speak fluent Russian when he was assigned to his second post at the United States Embassy in Bishkek, Kyrgyzstan, a country which was formerly part of the Soviet Republic. Kyrgyzstan is located on the western border with China. 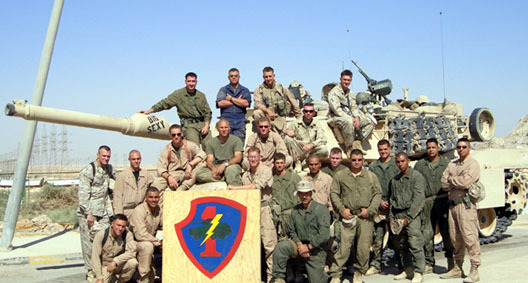 After returning home for a brief period of time in 2004, Urena found himself on his way to Iraq as a tank commander in the Spring of 2005. Urena was sent to the el Anbar province of Iraq on the eastern border of Syria “It was pretty much a no-mans-land out there,” Urena says. “Even Saddam Hussein had no power in that region when he was in power. There was no law enforcement at all, no rule of law it was total lawlessness, total chaos” he described. During his time in Iraq, Urena was part of three major operations; Operation Matador, Operation Spear and Operation Quick Strike. During operation Matador Urena was issued a navy achievement medal for heroic actions and quick decisiveness during combat operations where he and his company were ambushed by terrorists. Urena was credited for saving numerous lives and evacuated civilians from the area safely while under heavy fire. During “Operation Spear” Urena showed his heroism once again when he was hit with shrapnel in the face, “We were engaged in operations and the vehicle next to me was engaging a suspected enemy target with 40MM rounds. That’s when the van next to the house we were near exploded, blowing fragments into my tank,” he explained. Urena laughed nervously as he described how he found out that a piece of shrapnel was still lodged in his cheek weeks later when he went for x-rays. “There it was, embedded in my cheek and I never knew it was there,” he said. “I never reported the injury because I didn’t want to leave my men behind, so a crewman gave me first aide and I just continued on with the mission. I was on my way out of the Corps. By the time I was nominated and when the investigation of the incident was completed I wasn’t in the Marines anymore.” Urena was out of the Corps. For more than a month when he was awarded the purple heart. 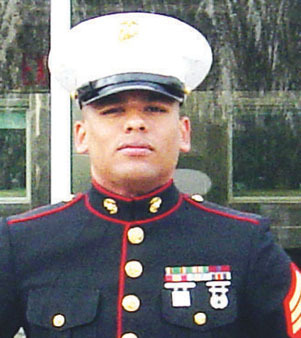 Francisco Urena was honorably discharged on June 15, 2006, but his service to his country did not end there. Like most real heroes who serve in the United States Military, Urena came back to the states looking for ways to continue serving, only this time serving his local community. Urena immediately went to the tent that city officials had set up at the Hayden Schofield Playstead to help the area flood victims. At first, Urena served as a translator, helping flood victims receive critical information from government officials, but when a local cable access television crew said they needed someone to volunteer as a cameraman Urena didn’t hesitate to help. “Really, that’s how I became involved in cable access,” he said. “Two months later, while the turmoil was going on in the Veteran’s Services Office I started helping out Jorge DeJeus, (Acting Veteran’s Services Director) doing paperwork and helped him catch up on a backlog of cases.” Urena volunteered in Lawrence city hall during the day while attending college at Northern Essex, taking a full semester of classes in the evening and logging more than 200 hours as a volunteer for the city. Lawrence Mayor Michael J. Sullivan, recognizing Urena’s heroic record in the military and having seen Urena’s zealous efforts to help the community as a volunteer, nominated him to be the city’s Veteran’s Services Director. Urena was hired on February 13, 2007. But Urena’s service to the community doesn’t end there. Urena also volunteers his time reading to children in the Lawrence public schools, an activity he began while he was in the service. He’s also a member of the VFW, American Legion, is a member of the board of directors for cable access, and works with Boy Scout Troop #2 training adult leaders as a unit commissioner. Urena is still attending college classes at Northern Essex where he is studying political science. Francisco Ureana, the Valley Patriot would like to thank you for your heroic service to your country and your community. We are honored to be able to tell a small part of your story as our Valley Patriot of the Month. The people of the Merrimack Valley and the United States owe you a great debt of gratitude that can never be repaid.